Stop wasting your time with other study methods and let the experts at McGraw-Hill Education be your guide. 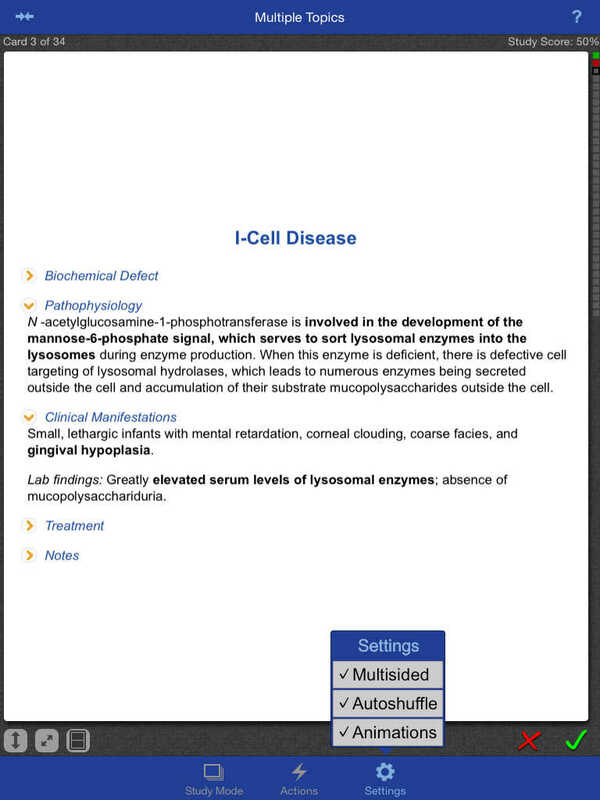 With the Lange Biochemistry and Genetics Flash Cards app in your toolkit, preparing for the USMLE or medical boards will be a breeze. As life rushes by, optimize your preparation time by using this powerful app where ever and whenever you can. Great for last-minute studying on clinical rotations, this app is the perfect tool to have at your fingertips. 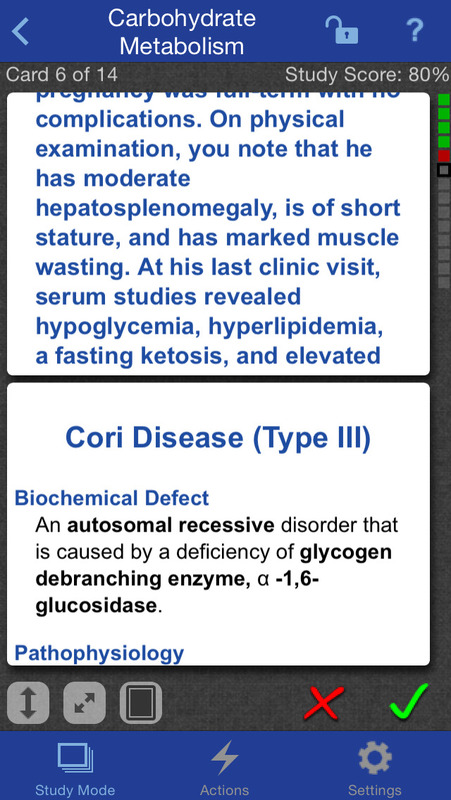 Organized into 8 major topics, this app provides a rigorous review of key medical concepts. 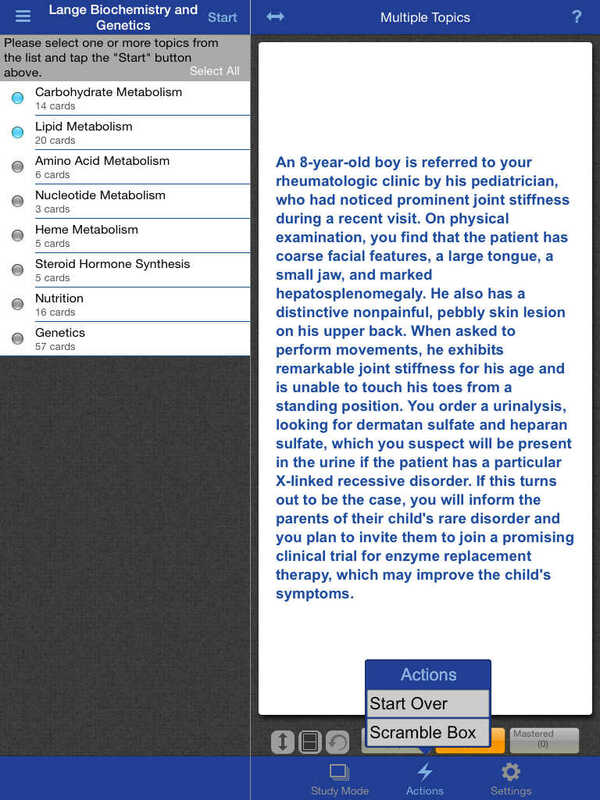 Within each category there is a selection of clinical vignettes requiring the application of textbook knowledge to real-life scenarios. Free initial download of the app presents 10 sample cards across the 8 categories. Each card includes one clinical case study and detailed diagnosis with a total of 126 questions available through in-app purchase. Choose from four study modes to assess your knowledge level and target weak areas as you go. Create customized quizzes to track your progress and even turn studying into a game with the concentration-style Matching mode. 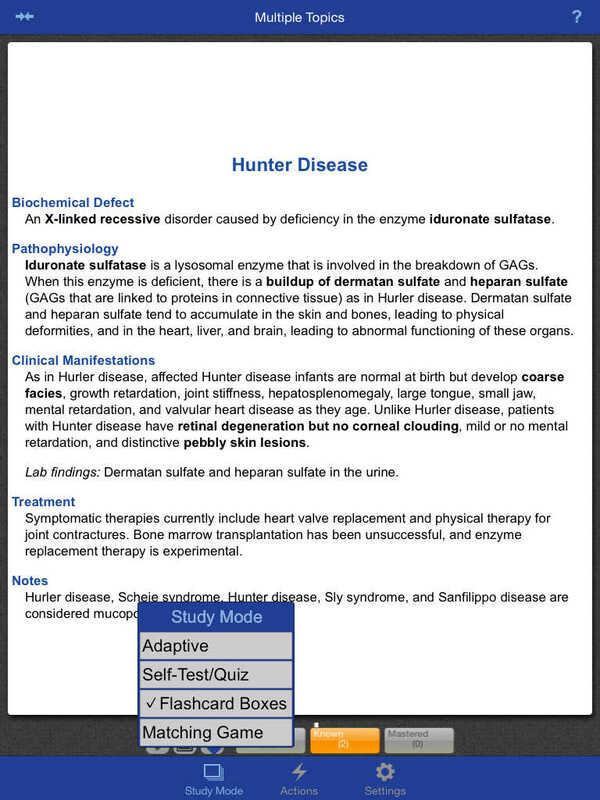 Conquering your biochemistry and genetics exams or the USMLE Step 1 has never been easier than with this portable, fun-to-use app. Study on the go, anywhere and everywhere.